A stunning lab grown diamond bangle bracelet, featuring round brilliant lab grown diamonds set in an open marquise shape for endless sparkle. Custom made to fit your wrist. Available options: platinum, 14k or 18k gold: white, yellow, rose. Our approachable diamond experts are waiting to help you create the perfect conflict-free diamond bracelet. Get started today! Ada Diamonds Design Description- This dazzling lab grown diamond bangle bracelet features round brilliant lab grown diamonds set in an open marquise shape for endless sparkle set in 14k white, yellow, or rose gold. Custom made to fit your wrist. 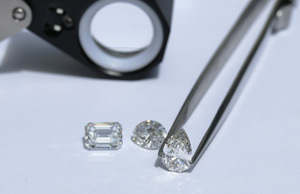 Starting at pricing assumes GH VS, lab grown diamonds set in 14kt white, yellow, or rose gold. Additional fees for 18k: $150, platinum $300.